- Upload flow - Overwrite suffix is always the same for all CSV load. When we replace dataset with a new CSV file, the title and nodes in Monitor will stay the same. Here we have a simple dataflow with 2 nodes: sfdcDigest and sfdcRegister. What happened if we add filter conditions to the sfdcDigest node? Will it change the nodes in the monitor? The answer is No, because the filter happens inside sfdcDigest node only. optimizer is always run before sfdcRegister for each sfdcRegister mode. From the above screenshot, we have another sfdcDigest node for getUser, and augment node. 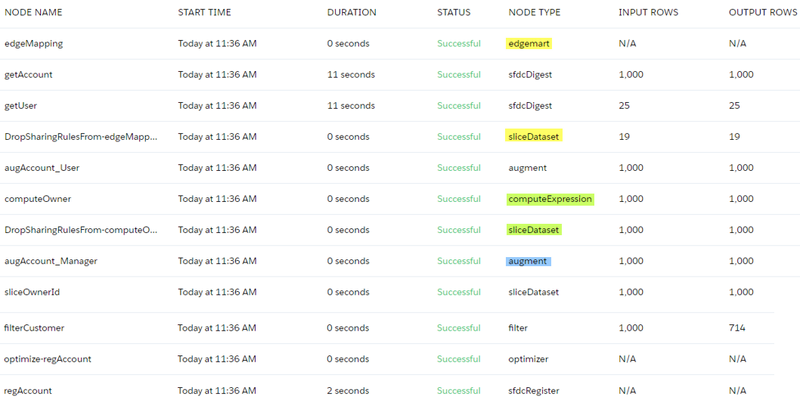 Now we have addition nodes: sliceDataset and filter as per order in the data flow. Edgemart note start first and computeExpression node is run after augmentAccount_User, so this order as per dataflow. 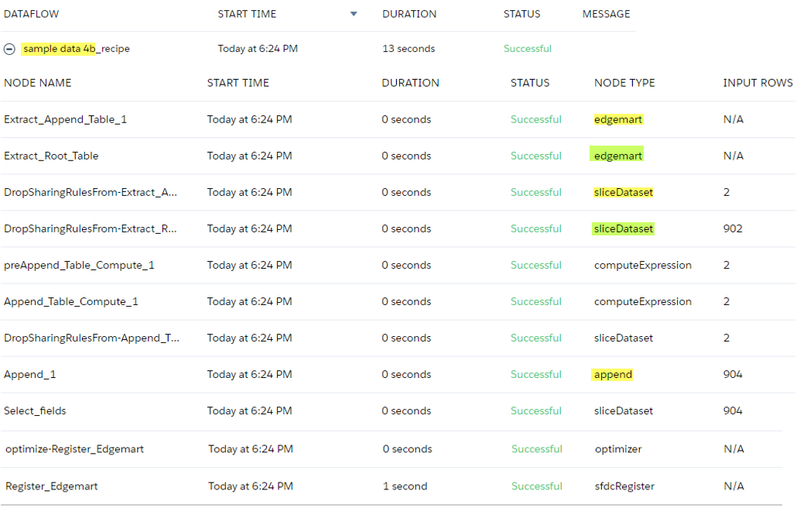 From the screenshot edgemart and computeExpression also run sliceDataset node with name DropSharingRulesFrom-, further check, this DropSharingRulesFrom- is randomly added, it can be appeared for sfdcDigest or augment node too, I am still checking what is the caused. 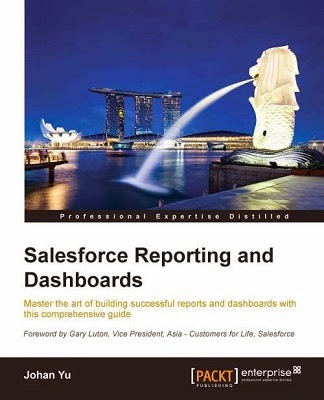 Next, let us see how Trend from Salesforce report to Einstein Analytics. 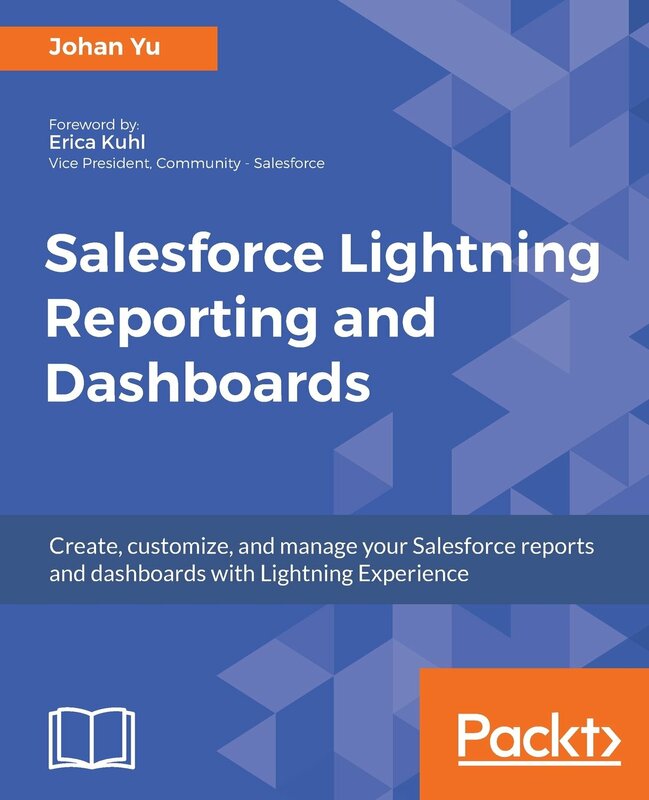 When you setup Trend for the first time from Salesforce report, it will run once to create dataset and dashboard, this activity happens before the scheduled date/time. This is a simple recipe to add a dataset to another dataset and produce new dataset.